A common sight in hedgerows in West Wales, this 16th century introduction to Britain grows to eight metres in suitable situations. The leaves are trifoliate and dark green on both sides. 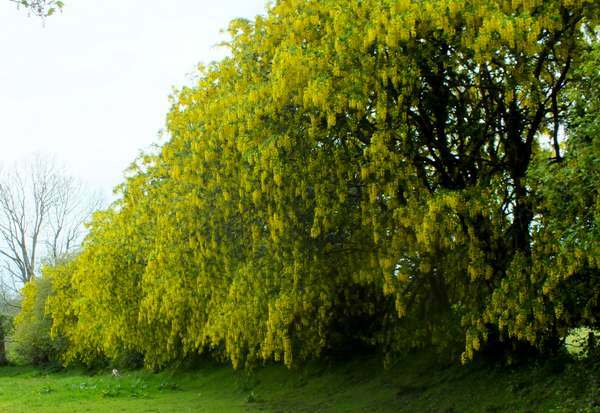 Laburnum is an attractive tree but potentially dangerous, since the leaves, seeds and even the roots contain a poisonous alkaloid. Being a member of the pea family, its green seed pods are a temptation to children, and there have been many cases of laburnum poisoning. 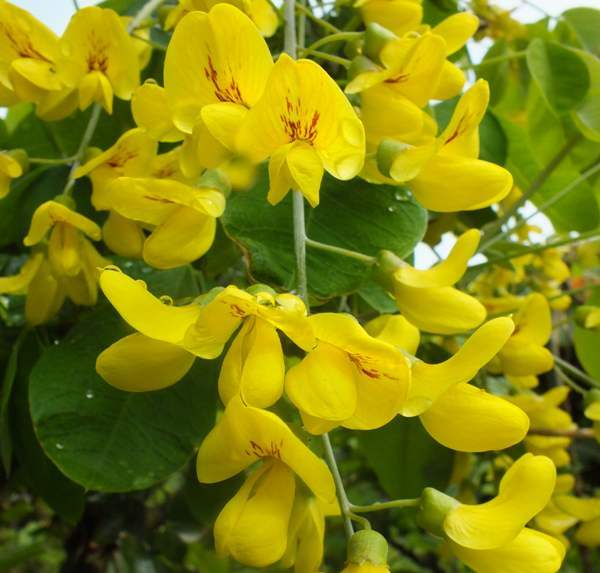 Other common names for this ornamental are Golden Chain Tree and Golden Rain Tree.